You could say we take sorting seriously. After all, why would we make wine from fruit you wouldn’t want to eat? 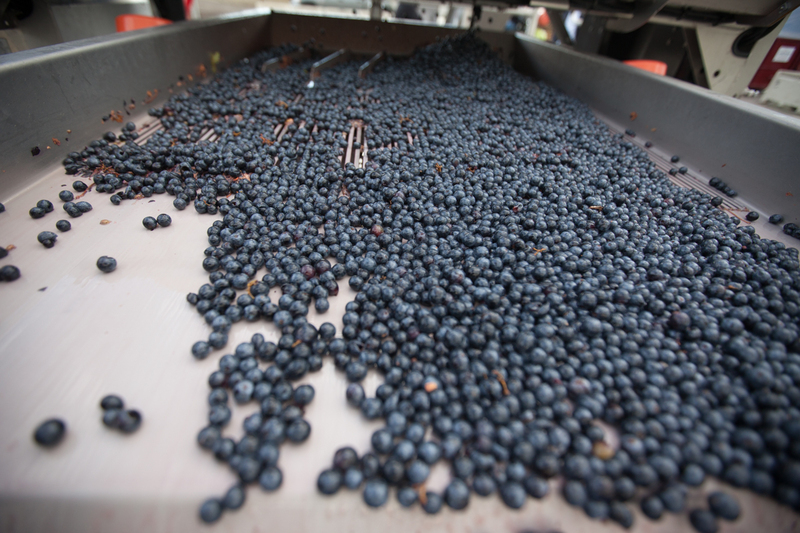 After being hand picked by our vineyard team, fruit arrives at the winery to be sorted. The triage starts by hand around a sorting table. The berries are then gently destemmed and rigorously sorted using a Pellenc optical sorter. This cutting-edge technology rejects any berries that do not meet Ross’ specifications. For each lot, he adjusts the desired berry size, shape, and colour to best suit the character of the fruit from that vintage. The aim is to remove unripe or damaged berries as well as MOG – material other than grapes such as leaves and stems. 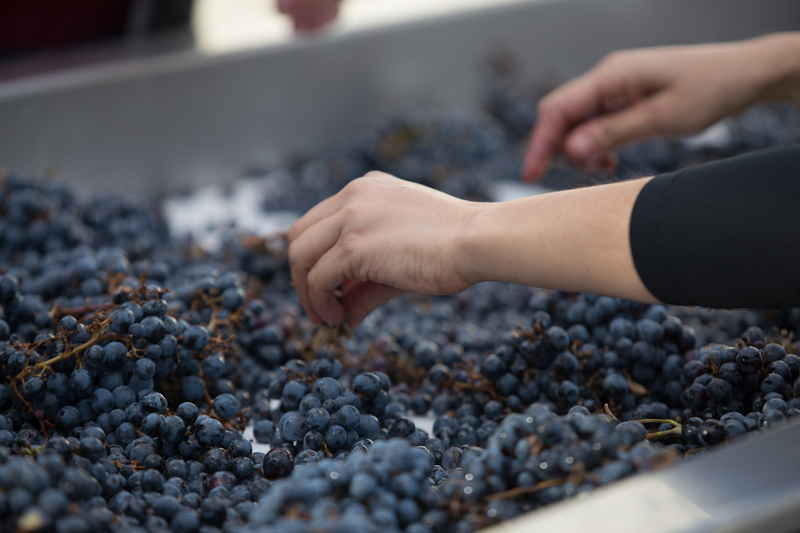 The optical sorter has an attention to detail that cannot be matched by the human eye, and ensures we’re using the best possible fruit from our estate vineyards. A camera continuously scans and analyzes every berry at a rate of up to 2,000 berries per second. 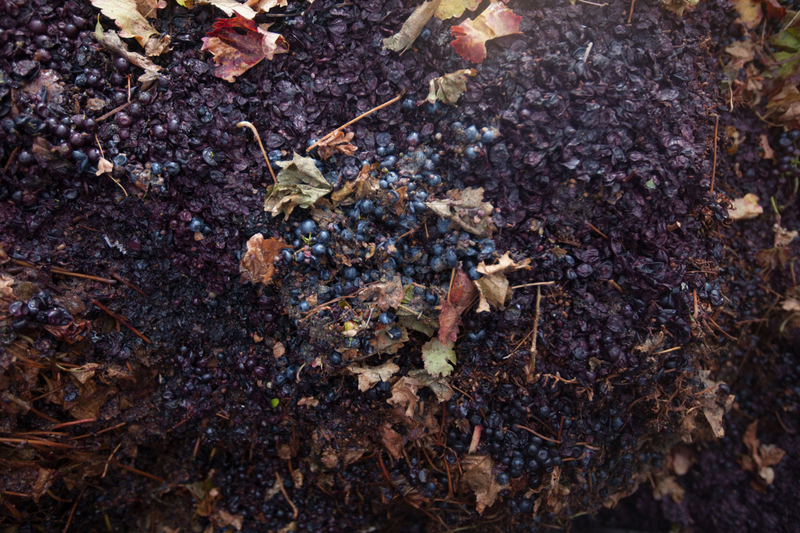 If a berry is rejected, a shot of compressed air tosses it into a rubbage bin. The time between a berry being scanned and rejected: just 30 milliseconds.